"As much as the Dalai Lama enjoys dabbling in science, he has a greater purpose: to alleviate suffering. 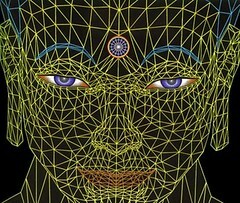 Buddhism has an extensive toolkit of techniques intended to reduce misery and perfect humanity through quieting the mind and cultivating compassion. The Dalai Lama wants to extract these methods from their religious context and ground them in the science of the brain in the hope that they will be widely adopted." Wired explores the Dalai Lama's recent participation at the Society for Neuroscience's annual meeting: Buddah on the Brain. Tags: Buddhism, Neuroscience, Science and Religion.